It’s not enough to just have a website for your business, you need to measure how well you’re reaching your customers or audience.Once you invest in a website, you want to make sure it’s creating real business value….You don’t need expensive software or a degree in statistics to measure your site’s success, but with all the data available, it’s hard to know what to keep track of and what it all means. Fortunately, all you need are simple (and free) tools that’ll help you focus on a few key data points. What are your goals? Before you can know what to measure, you need to clarify your goals. Why do you have a website? If you sell products online, this part is easy. But often, it’s a bit harder to pin down. You typically want to make a short list of revenue and engagement goals. People can buy something via the website. Visitors can request more information or an appointment. People can get information to visit your physical location. Visitors find the site through a search engine. People view more than one page of the site. Visitors sign up for your RSS feed. Web analytics program. 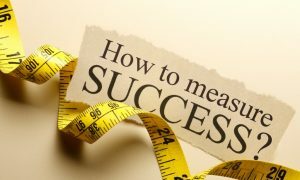 This is critical for measuring the success of your site. There are many choices out there, ranging from free to costing thousands of dollars a month. The easiest to use and install is Google Analytics, which is free. Google and Bing webmaster tools. With both Google and Bing, you simply verify that you own the domain in order to access data the search engines have about your site. What to focus on1. Is the number of qualified visitors increasing?The best kind of traffic is qualified traffic. “Qualified” visitors are those who are potential customers. How can you find out if visitors are potential customers? In cases other than people coming to your site directly (because they already know about it), you can look at the traffic source. Traffic from unpaid searches: This is traffic that results from someone doing a search and clicking on your site. Once the site has sizable search traffic, you can start monitoring and categorizing the search keywords people are using.For example, are people searching for your company name? One keyword category should be “branded” to include all variations of your company name and website. Your other categories should relate to your industry. For instance, if you sell pool accessories, you might have keyword categories for chemicals, slides, inflatable toys and FAQs. You can set these categories up with your webmaster tools and view them in reports to find out what customers are searching for online. Traffic from referring sites: An increase of traffic from referring sites usually means that people are linking to your content because it’s valuable. The pages being linked to most often are probably also the most useful. For instance, if your blog post describing how to add a waterfall to your pool is getting traffic from 20 referral sites, while your post on how to choose a pool cover is only linked to by one site, then maybe more people are interested in waterfalls than pool covers (assuming you promoted both articles the same way).2. Do visitors find the site useful? Not everyone is looking to buy something. Some visitors might want to learn more about your company or products. If you track only sales, you may lose valuable insight about how well you are engaging potential customers. Increased sales: Still, the most obvious and useful metric to track is revenue. You can track goals in Google Analytics (you may want to have an analytics expert set this up) to monitor events such as checkouts or clicks on buy buttons when you sell products online.When you tie this to your keyword categories and referring site information, the data become even more useful. Do 10 percent of visitors who come from links on online parenting forums purchase from your site, but only 1 percent of visitors who come from gardening forums buy something? If so, parents might be more valuable to your business. Time on site and pages viewed. These two metrics are often related. You might set a goal of at least 30 seconds on site if you want visitors to read through an entire article. 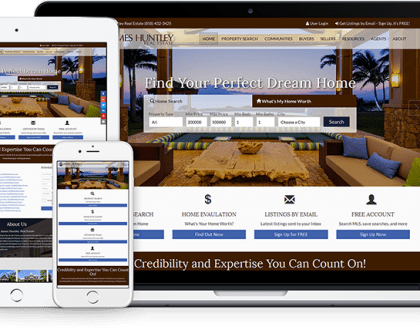 Or you might set a goal of at least two page views per visit, which indicates that visitors are finding the site interesting enough to dig deeper.You can also track the bounce rate — that is, how many visitors are leaving the site as soon as they land on it because it didn’t have the information they were looking for. RSS subscriptions. This metric is particularly useful for a blog. If someone comes to your site from a search or referring site, reads a blog post, then subscribes to your blog, it’s a good indication that your article was deemed useful. You can monitor subscriptions via goal tracking in Google Analytics. 3. What are your search performance metrics? Using your keyword categories, you can also monitor how well your site is ranking in search engines for specific searches and if people are clicking through to your site.Both Google’s and Bing’s tools track impressions (the number of times searchers saw your site in the results), clicks, click-through rates, and average positions for keywords that send traffic to your site. By looking at these metrics, you can see if your search rankings are improving, as well as if people are finding your search results compelling. Getting started The key to monitoring activity on your website is to not get overwhelmed by data. Make sure you have an analytics package installed on your site and are registered for the search engine tools. Be clear on the goals of the site — and then start with basic questions: What’s my overall traffic? What sites are linking to me most often?Soon, you’ll have great insight into how your website investments are paying off.